Secretary of State reiterates Trump is willing to meet with Iranian leaders if there are constructive conversations. US Secretary of State Mike Pompeo reiterated on Sunday that President Donald Trump is willing to meet with Iranian leaders, specifically President Hassan Rouhani. 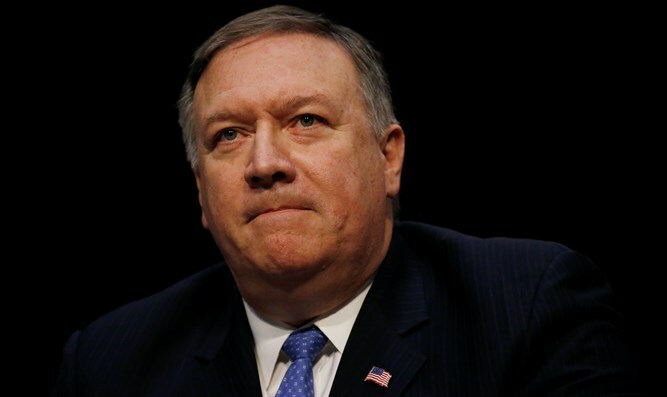 In an interview on NBC’s “Meet the Press”, Pompeo was asked whether he or the President have any plans to meet with Iranian officials at the UN General Assembly next week. “The President has been pretty clear: If there are constructive conversations to be had with the Iranians, the President is happy to have them. He’d be willing to do so,” replied the Secretary of State. “The President has said he’ll talk with anyone if we can have a constructive conversation,” Pompeo added, when asked if Trump would be willing to meet Rouhani. At the same time, he also noted that Iran has made no indication that it plans to stop sponsoring terrorism. “We want Iran to stop being the largest – the world’s largest state sponsor of terror. But make no mistake about it; there is no indication that they have any intent of doing this. Just this past couple weeks, they’ve come after American interests inside of Iraq, in Basra and in Baghdad,” said Pompeo. Trump, who recently signed an executive order officially reinstating US sanctions against Iran after leaving the 2015 nuclear deal, also indicated he was open for talks without preconditions with Rouhani. Rouhani later dismissed Washington's call for new nuclear negotiations at the same time as it reimposes sanctions on his country. Pompeo’s interview with NBC was recorded hours after the terrorist attack on a military parade in Iran, which Iranian Foreign Minister Mohammad Javad Zarif blamed on “regional terror sponsors and their US masters”.